As a secondary school teacher of English in Queensland, Australia, I'm engaged in a never-ending search for literature that manages to offer masterful examples of the narrative genre, while challenging students to act upon their social conscience. In the beginning, this search had me reading an average of 10 Young Adult (YA) titles a month. I did this initially so that I could offer sound recommendations to my students and help them avoid the pitfalls of the many copy-cat texts which followed the vampire-werewolf-district-faction phenomena. Somewhere along the way I found I was enjoying these texts just as much as my students, and I'd like to share with you the reason I like YA fiction. I believe the reticence of some teenagers today stems not from apathy or ignorance, but rather from the fact that the number and scope of the issues requiring their attention are overwhelming. It's for this reason that YA fiction, and dystopian fiction in particular (more about that later), has exploded in popularity over the last ten years. YA fiction provides adolescents and young adults with direction; if a young protagonist can overthrow a government, then they too can face the problems of their world. In my opinion, the continual rise of YA fiction can also be attributed to the fact that protagonists give readers a voice. This is true of all protagonists, but as Graham F. Scott at Canadian Business says, YA fiction capitalises on the seemingly endless resource that is teenage angst. While this trivialises the causes of that angst, he has a point; adolescence hits us all with a wonderful cocktail of physical, emotional and social confusion, one which often requires help to understand and negotiate. Enter the army of adolescent protagonists whose brave life-choices, embarrassing love-lives and fierce battles for freedom provide the reader with one recurring message: It will get easier. Even better than the message itself, readers are clearly educated that nothing gets easier without effort, resilience and a clear sense of purpose. I appreciate the ways in which protagonists work to overcome the challenges of a world usually thrust upon them by an older, wealthier or more well-armed society. My students appreciate that the perspective of an adolescent is valued, even privileged, rather than ignored. As a result, teaching and learning is improved because I can prepare teenagers for a world needing their attention, rather than assuming ignorance (not that I would!). Parents should certainly engage with the books their children read; a frank discussion about a YA character and his/her actions might allay many of the fears we parents have about our children’s choices. It's worth noting that few YA titles present alcohol, drugs or teen pregnancy as the main issues facing adolescents. Driving and digital communication are still presented as pitfalls, but the issues which occupy the average YA protagonist’s mind are identity, freedom (intellectual and physical), tolerance and purpose. I find that reassuring. As a genre, YA fiction should not be dismissed out of hand. A younger character voice is just as authentic, and their challenges just as real. Sure, there are some dreadful YA novels out there, but that’s true of any genre. My tip: befriend a teenage reader - they’ll steer you right, and will appreciate that you cared enough to ask. I'll be back to Carpe Librum soon to share some of my favourite YA novels, but until then, you can have a sneak peak at some of my recommendations here. 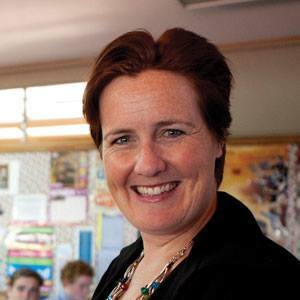 Whitney is the Head of English at Downlands College in Toowoomba, QLD and divides her time between school and her children, who spend more time dancing than at home. 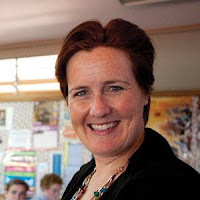 She is currently working towards a Masters of Education (Literacy and Language learning) at University of Queensland. So, what should I try first, Whitney? You've convinced me! This was an interesting read- thank you. I try to stay on top of the YA reading list as I work with a lot of young people and being able to communicate with them about other things than work is a huge positive in the workplace. I find it also means that the young folk also tend then to take an interest in what I am reading or watching. We may not have the same views but we have a bridge from one generation to the next. What a deceptively simple question, Anna! Normally I'd ask you, 'what have you just finished reading? ', 'what genre do you enjoy? ', and 'how much time do you have?' In order to provide myself with some kind of limit (this is necessary, believe me), I've decided to give you three Australian recommendations. My first recommendation is the 'Finnikin of the Rock' trilogy, by Melina Marchetta. It would be too easy to recommend the many titles that have become staples in the English Syllabi across the country (Looking for Alibrandi, The Piper's Son, and my personal favourite, On the Jellicoe Road), mostly because they recommend themselves. Marchetta really appreciates what is means to be a teenager in Australia, and her characters are rich, believable and engaging. Her fantasy series follows Finnikin, Evanjalin and Froi, three young travellers who seek to return to their homeland of Lumatere, ten years after it was devastated by civil war and mysteriously sealed from the outside world. Finnikin is intelligent, but occasionally judgmental, and it is through the companionship of the other characters that he finds a solution to the complicated problems facing his homeland, and his own life. 'Finnikin of the Rock' is a great choice if you don't yet have the stamina for 'Game of Thrones', but love worldbuilding. Lumatere is a realm rich in history, religion, commerce and language; all created specifically for the story. Finnikin's problems are real, and sometimes very adult, but no one expects him to have all the answers right away. The story is so vivid that the reader joins him on his journey and takes pride in his achievements. If modern literature is more your thing, try Ellie Marney's 'Every' series. Set in Melbourne, it opens on reluctant new arrival, Rachel Watts. She's moved from the country and has found nothing to redeem Melbourne yet. Her next-door neighbour is 17 year old James Mycroft, a highly intelligent, obsessive young man with a passion for forensics. Imagine a young, Australian Sherlock Holmes, and that's James Mycroft. Together with his Watts-on (get it?) he attempts to unravel a series of crimes, which shed light on his past, and help Rachel to look to the future. Nerdy English/Music side note: The books are (in order): Every Breath, Every Word, Every Move- I dare you not to sing Sting's lyrics every time you pick up the book! I love this series, the third book of which is currently in my TBR pile for this school holiday period. I like flawed, interesting characters; they are more realistic, I think. As someone who lived in Sydney for many years, I enjoyed the familiarity of the locations, but could appreciate the incredible journey facing Danby, our 17 year old protagonist. 'The First Girl' is a novel I'd recommend to adults and students alike, because it pulls no punches and the age of the main characters quickly becomes irrelevant. I would defy you to read the first 50 pages and not want to finish it. It is really good. So there you go, Anna. There's something to love about each of these recommendations, but something challenging about each as well. I look forward to hearing your thoughts in the future. Thanks for your question Anna, Whitney's been able to give you some great recommendations there, and I learned something as well. I hadn't heard of Ellie Marney's 'Every' series, and I l-o-v-e the titles and connection to the song by Sting. Uber cool! And thanks for your observations too May, books and reading are a fabulous way to bridge the gap between people and bring us closer together.